In a letter to Testbiotech and GeneWatch UK, the responsible EU Commissioner Vytenis Andriukaitis admitted Monday that “it is true that the legislation requires cumulative and synergistic effects of pesticide residues to be considered,” for the new genetically-modified (GM) soybean varieties that have been designed to be grown with multiple herbicides. 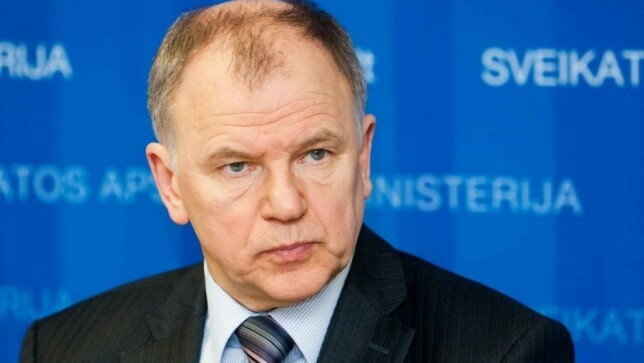 At the same time, Andriukaitis also states that methods to assess these health effects are not yet available. The letter from the Commission was written in response to a call by the two organisations to stop market authorization of herbicide resistant genetically engineered soybeans. These plants can be sprayed with a combination of herbicides, such as glyphosate with dicamba or isoxaflutole. Modernising and simplifying EU food safety policy while keeping the current high level of safety and ensuring existing policies have maximum effect. Ensuring the Commission is ready in supporting the EU’s capacity to deal with crisis situations in food safety or pandemics. Reviewing the laws that oblige the Commission to authorize genetically modified organisms (GMOs), even when a majority of national governments opposes them. According to a recent toxicological dossier, mixtures of these residues are thought to have adverse effects on health such as genotoxicity, liver toxicity and tumours. Consumers and farm animals could be exposed to a combination of these substances that may be found as residues in the harvest of these crops. However, the combined toxicity of these herbicides was never assessed by EU authorities. Experts from Member States already voted twice on the application, however no qualified majorities were reached. Now it is expected that the EU Commission will allow the import and usage in food and feed. Testbiotech and GeneWatch UK are demanding that the authorisation is stopped. As they explain in their answer to the EU Commission: “If the EU Commission and EFSA are not able to assess the effects these mixtures might have on health because there are no suitable methods available then market authorization cannot be granted. EU regulations require the highest standards of consumer and environmental protection. In the case of the genetically engineered plants under discussion the precautionary principle has to be applied and the application has to be rejected,” writes Christoph Then in response to the EU Commission. Testbiotech is today starting an online petition to Jean-Claude Juncker, the president of the EU Commission, to stop the soybeans from being imported into the EU. In this context, Testbiotech also hopes to get support from the Environmental Committee of the EU Parliament, which will be discussing this issue on 21 January. Even an intelligent child in grade school could figure that out. Only the mentally ill could conceive and support this insanity. Sadly, many who would call themselves “scientists” are apparently mentally ill.
N.B. “Scientists” and “corporate technologists” ain’t the same thing! Does this man speak English? What is that first quote all about? Is he laboring to becloud the issue?